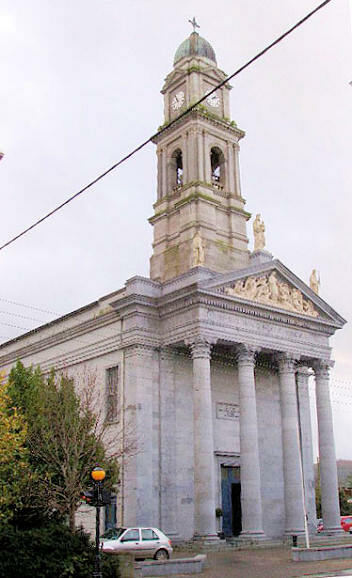 Borrisokane, former Catholic Church, now the Old Church Centre, a community asset. From an old postcard in Reg Dosell's collection. Link. 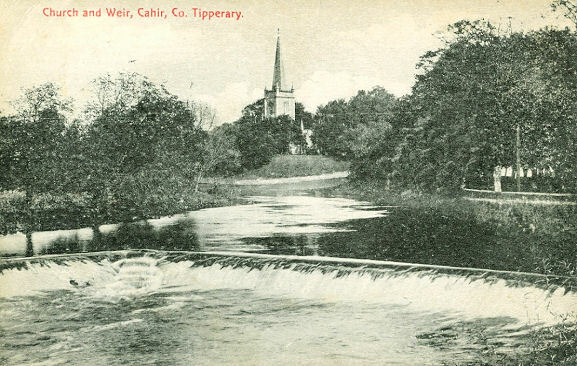 Cahir, a distant view of the Church of Ireland. From an old postcard in Reg Dosell's collection. 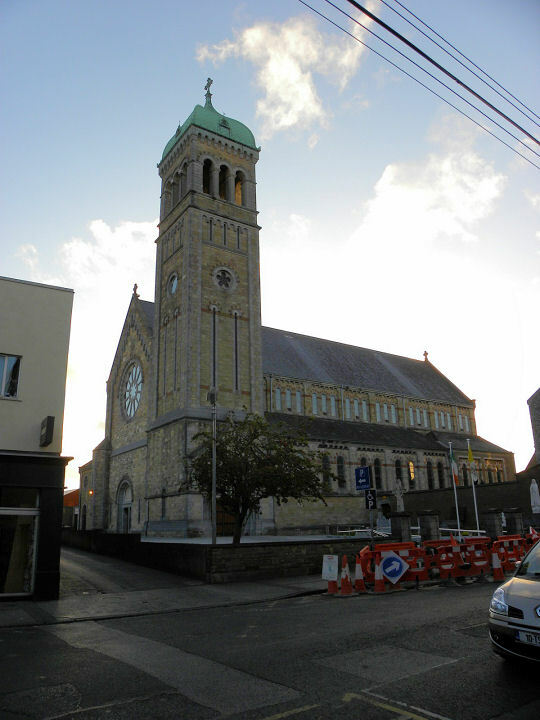 St. Mary (R.C. 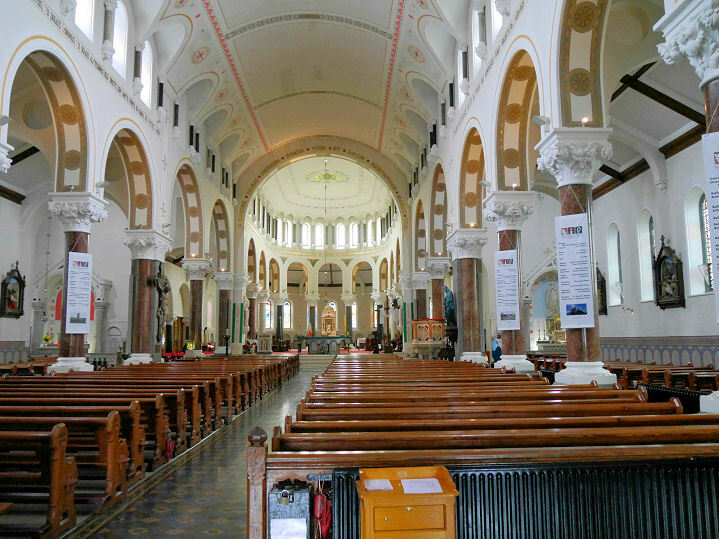 ), interior view. 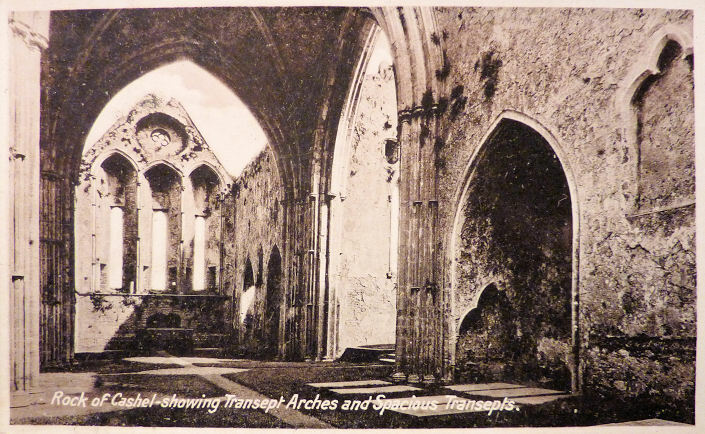 From an old postcard in Susan Heighes's Collection. 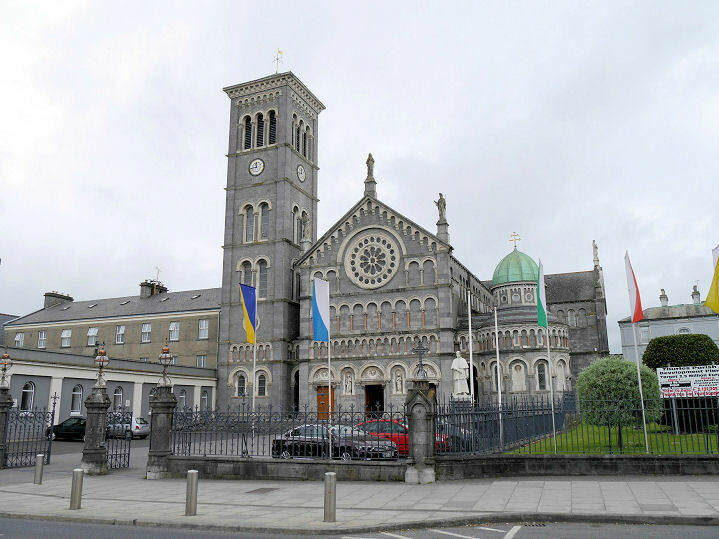 Cashel, the cathedral dedicated to St. John the Baptist & St Peter the Rock (Anglican). 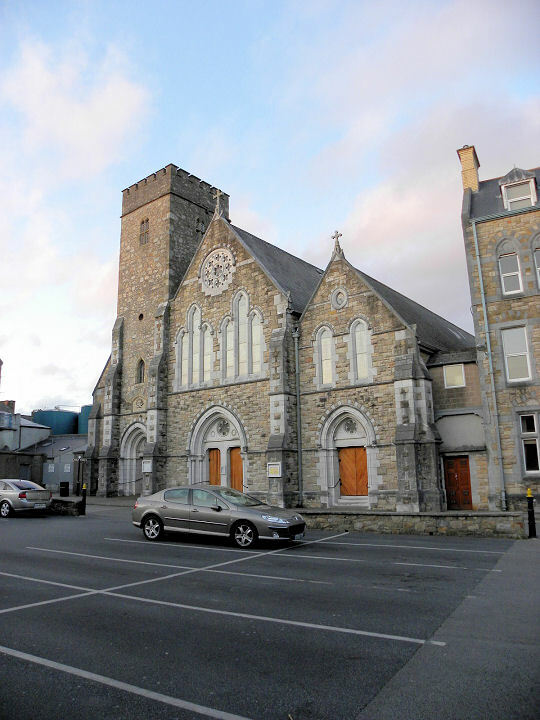 External link to a page of the web-site of The United Diocese of Cashel Ossory & Ferns. 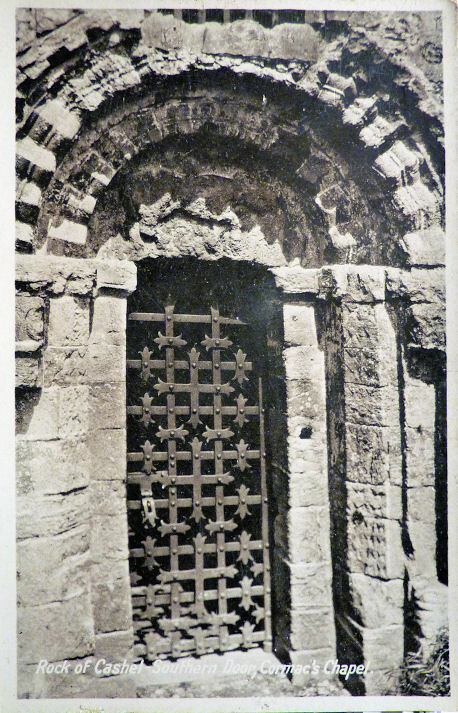 St. John (R.C. 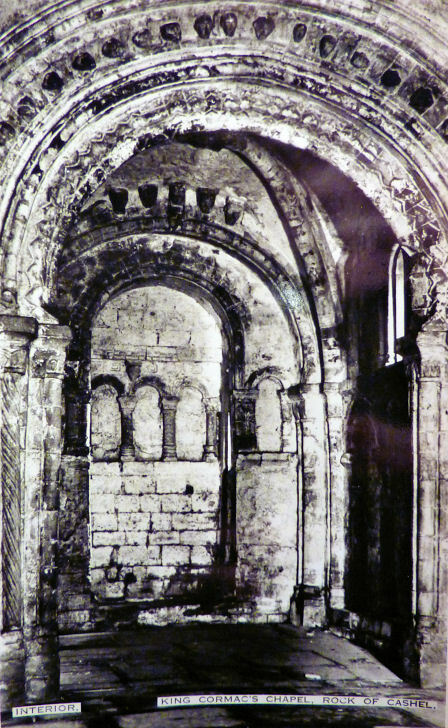 ; internal view only). 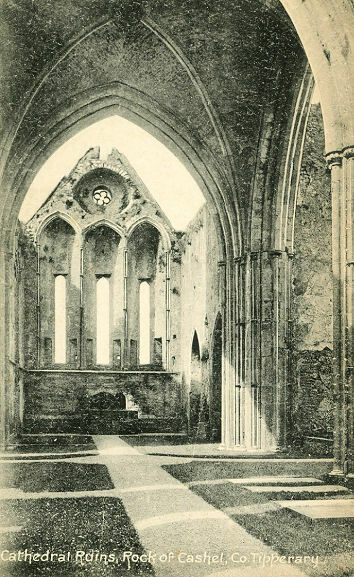 A view of the ruin of Cashel Cathedral. From an old postcard in Reg Dosell's collection. 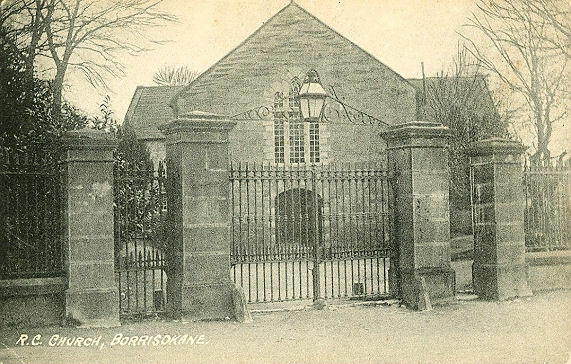 Another old postcard view, from Christopher Skottowe's Collection. Link. 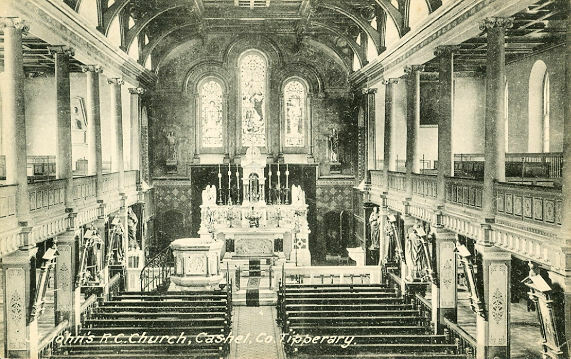 The following are all old postcards from Christopher Skottowe's Collection - Cormac's Chapel, interior view, and the Southern door. 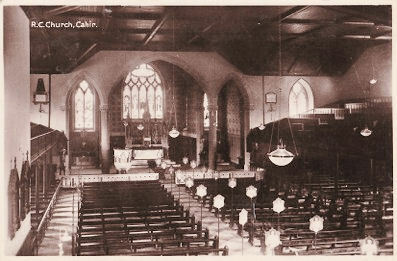 Clonmel, St. Mary (R.C.). © Don Tomkinson. An old postcard view, from Reg Dosell's Collection. Link1. Link2. 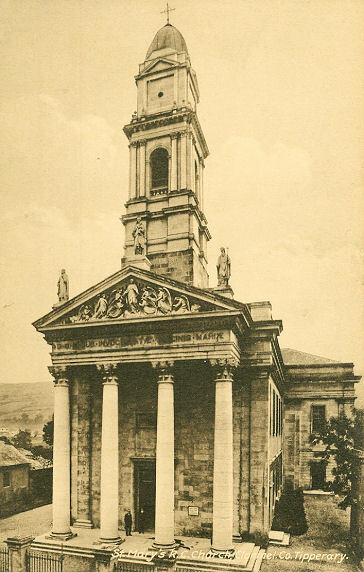 St. Peter and St. Paul (R.C.). From an old postcard in Reg Dosell's collection. 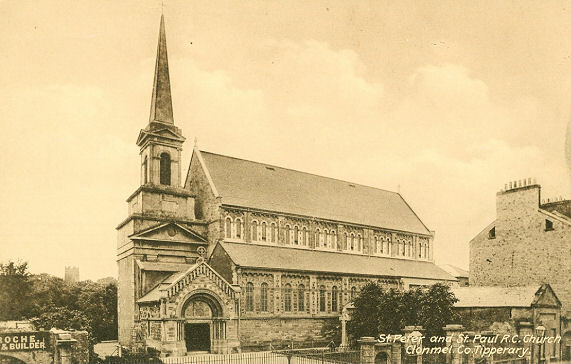 The church has received extensive alterations since the postcard photo was taken - a modern view, © John Balaam (2012). Link. 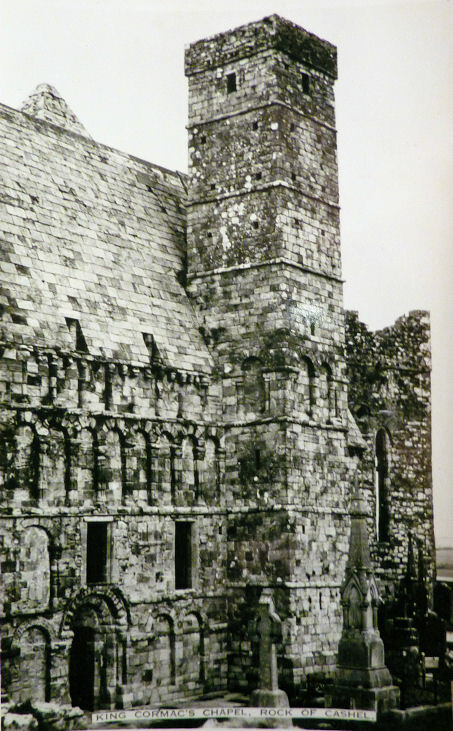 Franciscan Friary, © John Balaam (2012). 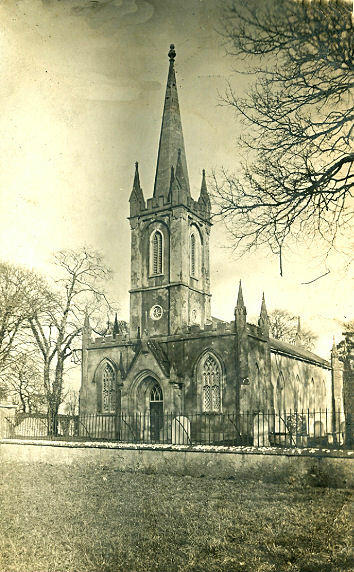 The Old Church of St. Mary. © John Balaam (2012). Link. 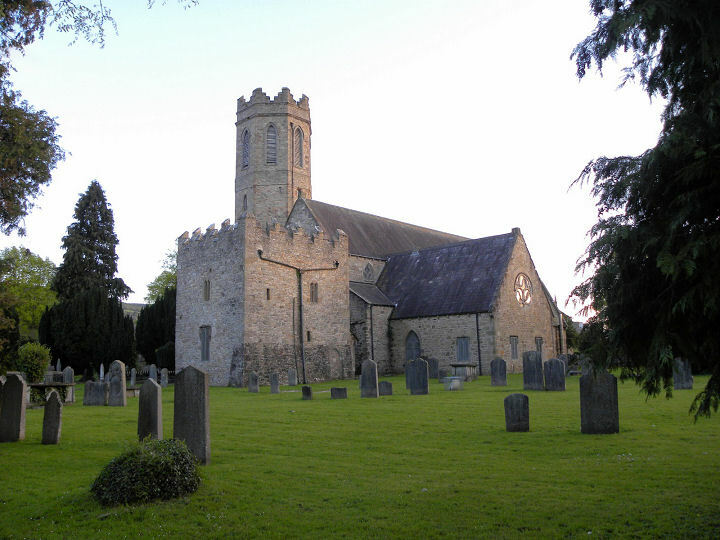 Littleton, Church of Ireland. From an old postcard in Reg Dosell's collection. 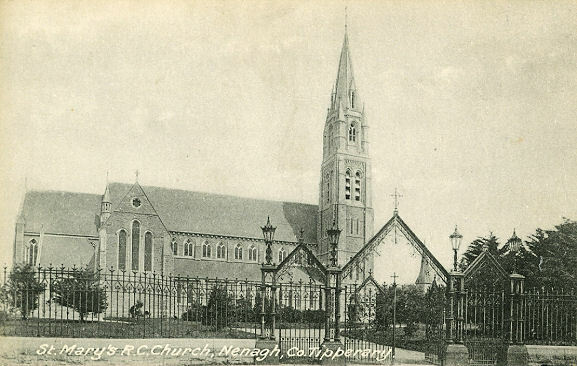 Nenagh, St. Mary of the Rosary (R.C.). From an old postcard in Reg Dosell's collection. 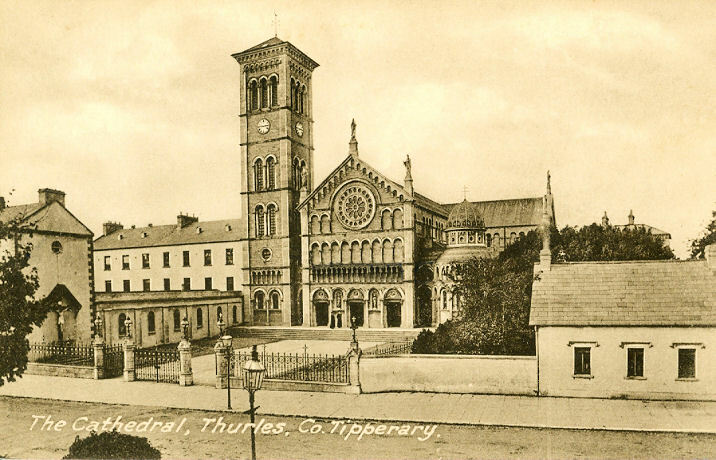 Thurles, Cathedral of the Assumption (R.C.). From an old postcard in Reg Dosell's collection. A modern view, and the interior, both © John Balaam (2016). Link.